The Dieppe Raid, 19 August 1942. 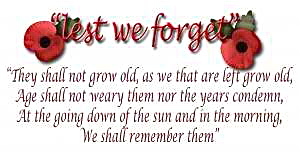 In memory of those Canadians who made the ultimate sacrifice. Dieppe Veterans Mark 70th Anniversary of Raid With Somber Return. Brampton resident Arthur Rossell and six other veterans of the raid on Dieppe are returning to the French port to mark the 70th anniversary of the ill-fated raid. The nightmares arrived soon after Arthur Rossell awoke from a coma in early September 1942. Tanks mired on the pebbly beaches; the deafening, rapid volley of German artillery; the screams of comrades felled in a blink and their lifeless bodies strewn across the French coastline. The 22-year-old Chatham, Ont., native had been wounded during the early-morning raid on the port of Dieppe 18 days earlier. Nearly 1,000 Canadian soldiers were killed in the bloodiest day in this country’s military history. Seventy years later, memories of the carnage have never left him. “The Germans were sitting in a very nice position on the top of the hill,” said Rossell, now 92. “They were able to pick the men off, just like shooting ducks in a barrel. 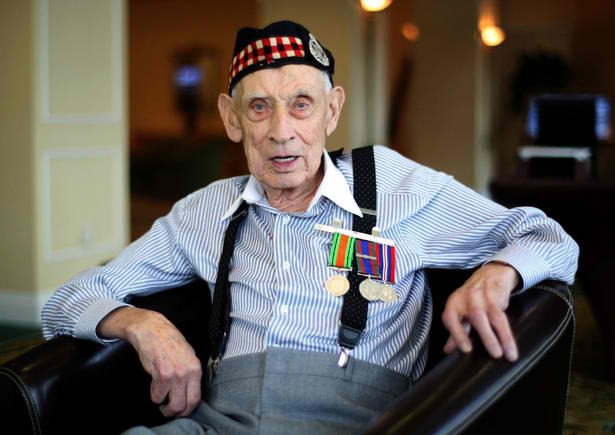 This weekend, Rossell, a Brampton resident, will stand in front of that North Atlantic surf for the first time since Aug. 19, 1942, as seven veterans return to Dieppe’s beach to commemorate the failed World War II raid on German-occupied Europe. There, the veterans will remember fallen aviators at the St. Aubin-le-Cauf cemetery and others at the Canadian cemetery Les Vertus. They will lay a wreath at narrow Puys Beach, where more than 200 Canadians died. The visit comes bittersweet, even with the passage of time. “It’s not like it going to be a big holiday,” Rossell says. “I left so many of my friends that I grew up with. Some of us, we were in Boy Scouts together and joined the army together and I was one of the only survivors. For most who participated, the raid was a deadly maelstrom of confusion, where emerging unscathed was a miracle that defied explanation. Since then, the Dieppe raid has become infamously synonymous with ill-preparedness and, subsequently, failure. Of the 4,963 Canadians who participated, there were 3,367 casualties, including 913 deaths and 1,946 captives, some of whom died in German prisoner-of-war camps, according to Veterans Affairs. And questions still remain over the purpose of the raid. Was it a training run for D-Day nearly two years later, when Allied forces stormed the beaches at Normandy? A concession by the Allies to Soviet demands to attack the Western Front? Or, as a new documentary, “Dieppe Uncovered,” suggests, cover for a secret commando raid to pilfer naval secrets from inside the town? Regardless, a sea battle between an Allied landing craft and a German convoy off the coast of Puys likely alerted the German defences, ruining the element of surprise. And veterans have since said they didn’t receive adequate training for the mission. “They never should have tried in the first place,” says 92-year-old Fred Engelbrecht, of Hamilton, who was a PoW for three years. “It was hell, it was six hours of hell. You can’t describe it,” says Engelbrecht, who’s also in Dieppe for the anniversary. Rossell, however, holds no grudges. While he still calls the mission a “wholesale slaughter,” he said the devastating lessons learned at Dieppe had to have paid off later in the war. Quibbling over blame and responsibility is one of the raid’s lasting legacies, says Jeff Noakes, a World War II historian at the Canadian War Museum. Now, with veterans well into their 90s, future pilgrimages will become less certain. The chaos and mayhem of that August day will be enshrined in the gravestones, wreaths and ever-evolving history of Dieppe.